Enter to win a bag of magician's tricks from online masters of the game, Ellusionist! The Pure Smoke Giveaway Magic Bundle includes 1 unit of Pure Smoke, a set of Messado Rings, a Shift Self-Bending Paperclip, and a deck of Pressers playing cards (over a $250 value)! This giveaway is open to all residents, US & international. Pure Smoke. More mysterious than how Pure Smoke works or what it's made of is why the spontaneous appearance of smoke is so darn cool. In other contexts, such as while baking, performing basic electrical upgrades, or 10 miles into your hike through a densely wooded forest, smoke's sudden presence doesn't so much elicit dreamy enchantment as it does "Uh oh!" But when wielded by a dark, handsome, somewhat creepy stranger in black eyeliner, it is nothing short of mesmerizing. 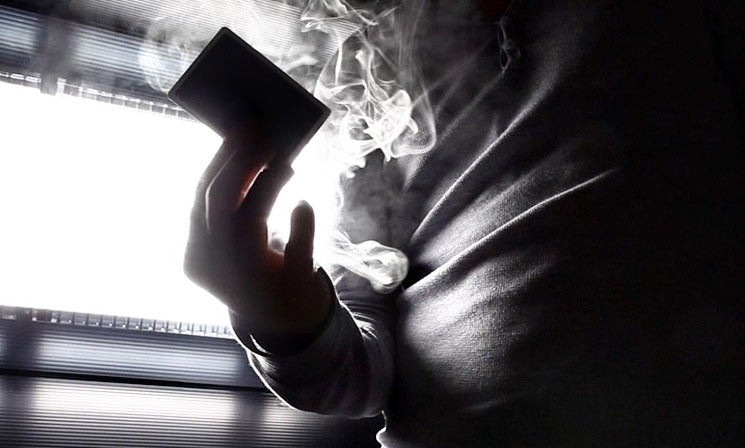 A unit of Ellusionist Pure Smoke is charged with 850+ puffs of thick, water-like vapor primed for pouring forth from a lady's purse or the shoe of an acne-ridden teenager who has just hit puberty. Check out the above video to see Pure Smoke at work. Messado Rings. Joshua Messado is a 6' tall top-hatted master of illusion from the streets of New York. 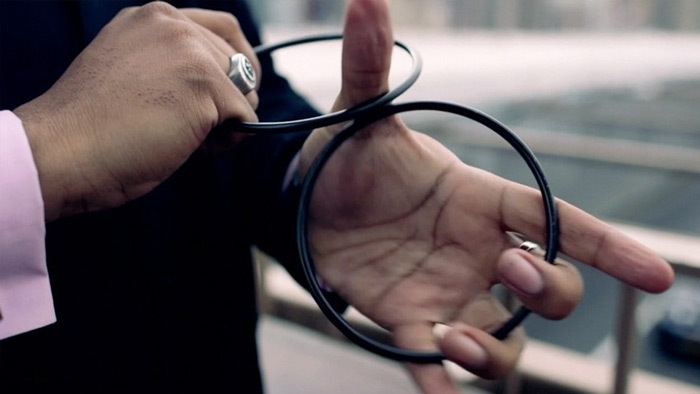 Ellusionist's take on his carbon-black rings clash, connect, and separate to Messado's exact specifications time and time again without damage or injury. Unless you knock yourself full-speed in the fingers with one. That would probably cause some damage and injury. Check out the above video to see the Messado Rings in action. Shift Self-Bending Paperclip. The Shift Self-Bending Paperclip could be the one illusion both thrilling enough to impress ladies' libidos and simple enough for an anti-dexterous hack like myself to execute. 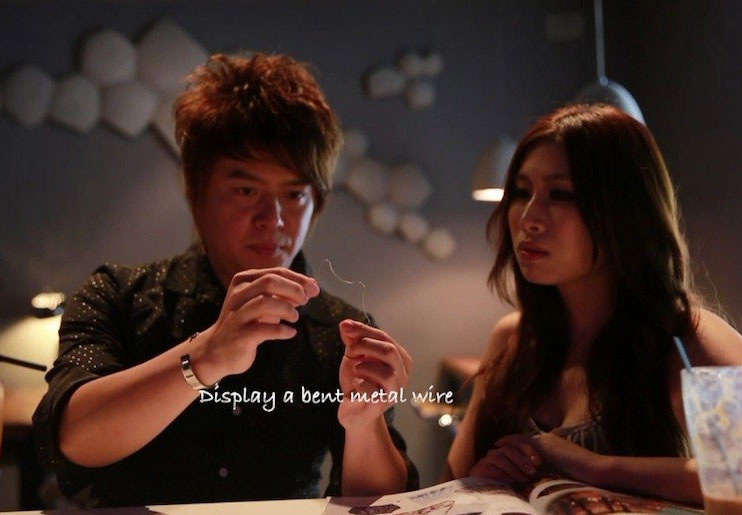 As the video above suggests, this brand of trickery begins as a gnarled and uninteresting piece of wire. However, when its master achieves uninterrupted focus and wills the wire to bend, suddenly a new shape begins taking form. A shape that freaks everyone out at first because what's it going to be? The Virgin Mary? Satan? William Shatner? No, just a paperclip in the end. But if executed properly, even a paperclip could be cool enough to earn the magician some female company for the night. 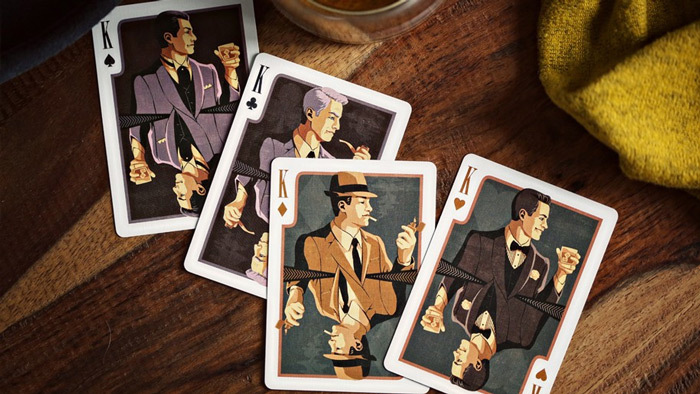 Pressers Playing Cards. 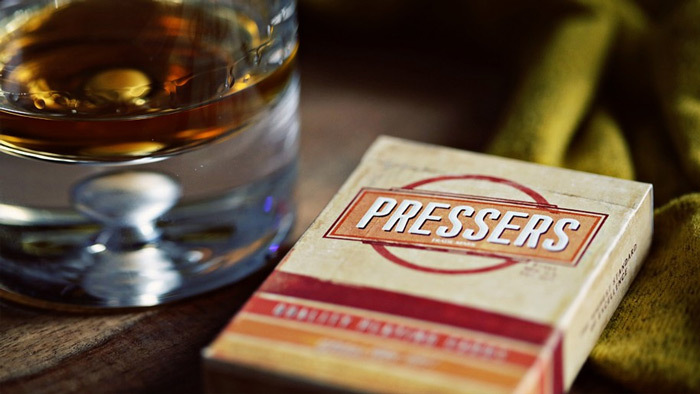 Pulled straight from Don Draper's desk drawer, Pressers are the playing cards of choice for all the Mad Men of Sterling Cooper. The deck is wrapped in an early 60s vintage design, customized from the inside out, and printed on soft luxe paper. To register, click here and fill out the Ellusionist Pure Smoke Magic Bundle Giveaway entry form. Or, if you're already a member of DudeIWantThat.com, when the magic entry form button appears, just click it to enter. 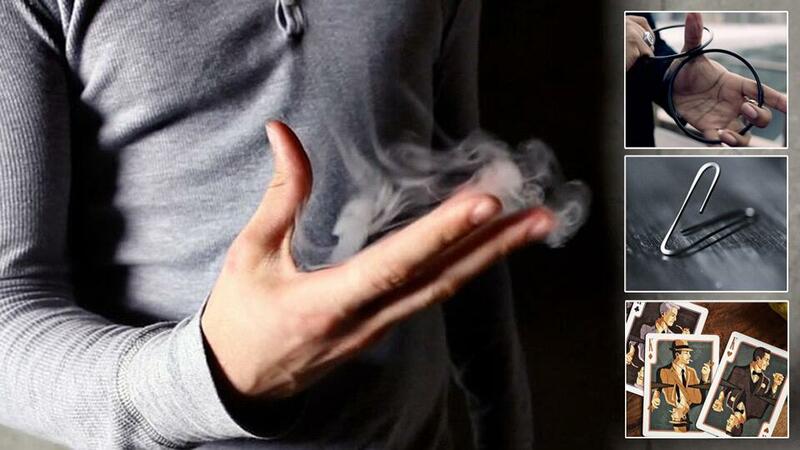 The Ellusionist Pure Smoke Magic Bundle Giveaway entry period is open through 11:59 p.m. ET on Sunday, February 9, 2014. Our drawn winner will be contacted by email within 48 hours of the entry period's conclusion, and should allow up to 3 weeks for prize delivery. All 4 included illusions and magic tricks in the Giveaway bundle are available for individual purchase from the Ellusionist online store. Giveaway item prices range from $7.95 to $145. Ellusionist also carries tons of other wares and gear for aspiring magicians, class clowns, and lifes of the party. 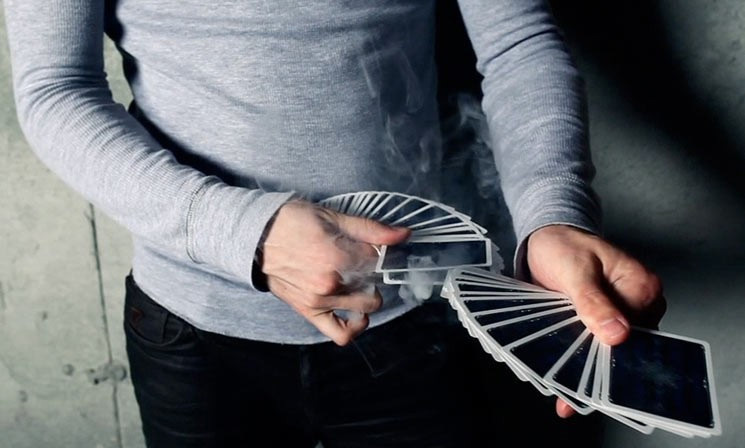 Congratulations to James T. of New York, NY, winner of the Ellusionist Pure Smoke Magic Bundle! Thanks to all entrants, and be sure to keep entering Dude's weekly giveaways for your chance to win more items of magic and intrigue.